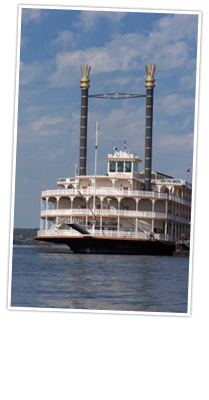 Board a paddlewheeler and ride down the mighty Mississippi. Includes a 30-minute downtown tour. Tours include transportation from most hotels to our ticket office. the Tunica Casinos and much more! Blues City Tours reserves the right to change/cancel Tours without notice.